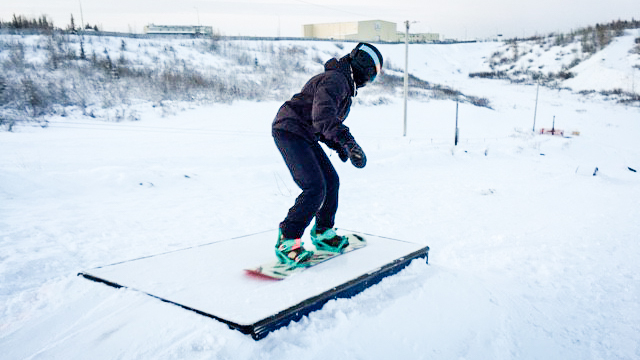 Get ready – Yellowknife’s Bristol Pit terrain park opens up this week as the new season begins for Ragged Riders. Despite a chilly forecast for the week ahead, the first evening of programming remains scheduled to go ahead on Wednesday, January 10. Not signed up yet? Get your season pass and book program places here! “The lift will not operate below minus-30 but we will still run lessons and walk up the hill to stay warm!” Said Bryana Matthews, who is leading Ragged Riders’ programming this season. If you purchased a season pass but have yet to sign up for programs, there are still places available. Head to the link above to get registered.